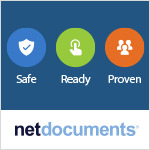 NetDocuments, the leading cloud-based document and email management (DMS) platform for law firms and corporate legal departments, announced today that McCollum Crowley, Bassford Remele, and Zimmerman Reed selected NetDocuments for improved security, efficiency, and usability across their offices and legal professionals. 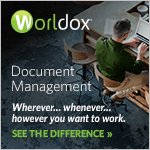 The drivers for the MN-based trifecta of firms making the switch to NetDocuments included the need for modern technology to support the firms’ cloud initiative, security and data protection requirements, and the productivity needs of an increasingly mobile legal workforce and client base. These value-drivers to move to the cloud are shared across the other 33 firms who selected NetDocuments in the last month.